We are excited to announce the new ON1 Photo RAW 2018.5 is now available for download or purchase. Version 2018.5 includes an overall performance upgrade, new features such as LUTs and camera profiles, new camera and lens support, and fixes for user reported issues. NOTE: If you already own ON1 Photo RAW 2018, this is a free update. Go here to learn how to install this update. Everyone else can download a 30-day trial here. The full release notes for ON1 Photo RAW 2018.5 can be found here. “We’re very excited to deliver this update. There is a ton of key new features and updates customers will have a lot of fun with,” says ON1 President, Craig Keudell. Camera Profiles – Select the same looks you see on the back of your camera in ON1 Photo RAW 2018.5. Select from Natural, Portrait, Landscape, etc. depending on what your camera offers. These are not presets, they don’t adjust any of the sliders, and are non-destructive. LUTs in Effects- LUTs or Look-Up Tables are a favorite way to add matte, vintage or cinematic color grading looks. These are available inside of Effects in version 2018.5. The common .3DL and .CUBE formats found online can also be imported into Photo RAW 2018.5. LUTs will work like any of the current filters in Effects. Improved Brushing Performance – Brushing with the Masking Brush is more fluid and responsive, especially on Windows computers with large or high-dpi displays. Transform Pane Enhancements – The Transform pane in Develop includes new tools to correct perspective and rotation issues. A new grid makes it easier to visualize results. Faster Film Strip for Culling – Using the Filmstrip in Develop and Effects is now just as fast as it is in Browse. You can also perform your editing and culling tasks like ratings, labels, rotate and delete, while you are adjusting your raw processing. RAW+JPG – If you shoot RAW and JPG at the same time, you can collapse and hide the JPG copy, so your library isn’t cluttered. Any metadata or file changes you make are mirrored to the JPG seamlessly. Manage & Organize Presets – Ability to better organize presets into a nested category structure and to move, rename, delete, and nest presets and categories. Nested Albums – Nest albums or photos inside of other albums. If you are migrating from Lightroom, your nested albums are brought over by the Lightroom migration assistant. Increased Stability – Significant under the hood stability improvements are in 2018.5. Background Export – Exporting is processed in the background so customers can continue to work on another job without having to wait for the export to finish. New Cameras & Lenses – Includes new cameras and lenses. The list includes support for Fujifilm® X-A5, Fujifilm X-H1, Sony® A7 III, and many others. ON1 Photo RAW 2018.5 is available to purchase or download as a 30-day free trial. We are running a launch special for a limited time for new customers at a price of $79.99 (Reg: $119.99). Previous owners of any ON1 product can upgrade at a launch special price of $69.99 (Reg: $99.99). ON1 Photo RAW 2018.5 is also available as part of our ON1 Plus Pro membership for $129.99/year (Reg: $149.99/year). 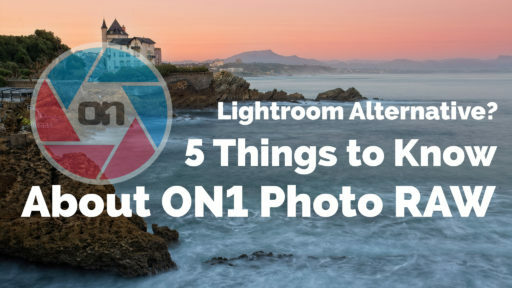 ON1 Plus Pro includes a perpetual license of ON1 Photo Raw along with in-depth post-processing and photography education. All of it is easy to follow along and fun. During the launch special, we are including 50 additional LUTs created by Hudson Henry, Matt Kloskowski, Tamara Lackey, and ON1 professionals. Version 2018.5 is a free update for all owners of ON1 Photo RAW 2018. Finally, those who have tried an earlier version of Photo RAW 2018 can try this new version for free and get 30 more days to test it, since we reset the trial period for all. A single purchase of ON1 Photo RAW 2018.5 includes both Mac and Windows installers and activation for up to five computers. It comes with a 30-day money-back guarantee, world-class customer support, hundreds of free video tutorials, and free ON1 Loyalty Rewards every month. We will roll out several new web features within the next week. These include public support community forums, a new weekly tips & tricks series Tip of the Week, and eight new LUT packs (80 LUTs) available to download for free. Later this summer we plan to roll out an extensive new video library for customers where they can create and save video playlists, watch photography courses, track progress, and more. We will also unveil a new community content exchange where customers can create, upload, and share ON1 presets, LUTs, and other creative content. As for ON1 Photo RAW, it has come a long way since its launch. We’ve rolled out over 50 new features and updates along with tons of enhancements to the performance of the app this year alone. “Our team is laser-focused at continuing to build upon this solid foundation. Our work isn’t done as the team is hustling at building new technologies to help both the ON1 and photography communities,” says Craig Keudell. 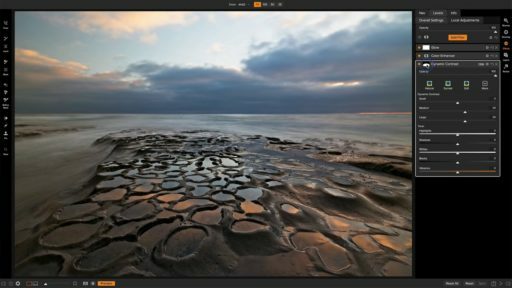 ON1 Photo RAW 2018.5 is a powerful new photo editor and a raw processor that uses a state-of-the-art processing engine which provides a smooth and fun photo editing experience and delivers the highest quality results for your photos. Photo RAW includes powerful Lightroom® and Photoshop® features with photo organizing, hundreds of photo effects, HDR, panorama stitching, masking and selection tools, layers, photo resizing, and much more — all in one app. 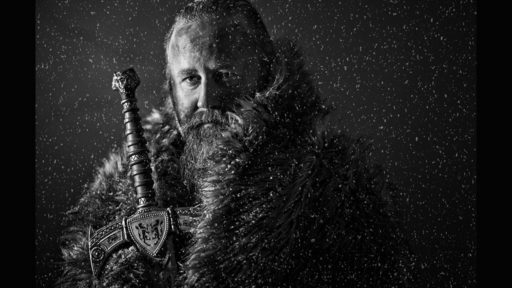 It’s the ultimate photo editor you can own forever and not rent as a subscription. 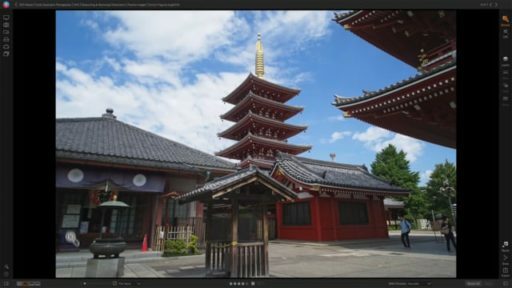 ON1 Photo RAW 2018.5 isn’t just for raw files. Supported file formats include JPEG, TIF, PSD, PSB, PNG, and DNG are supported and benefit from the speed, performance, and abundance of editing tools in the app. Photo RAW also integrates as a plug-in for Adobe® Lightroom Classic CC and Photoshop CC and continues to build its case as a complete standalone photo editor or alternative to the Adobe Photography Plan. Like the current version, version 2018.5 will integrate with the major cloud services to allow for uploading, managing, and editing photos across multiple computers. 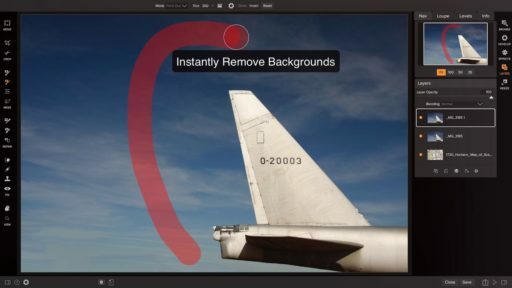 This enables users to sync photos and their edits across multiple computers or in a studio setting.